Ahmed, a 27-year-old Syrian passport holder living in the UAE was denied a visa to the UK to attend uncle’s wedding 3 years ago. He had a good job in the UAE, earned enough to afford such an excursion and had proof of funds, all his legal documents and a letter from his employer. Ahmed’s uncle is a resident of the UK and provided all his details, including a wedding invitation, for the UK embassy in Abu Dhabi, where he had a work permit. He was not given an interview at the embassy. Ahmed was refused a visa on the grounds that, even though his papers were in order, they believed that his mother country may motivate him to stay illegally in the UK… although his job, car, home and family waited for him back in the UAE, where he has lived since he was a child. It was a similar experience for Ahmed when he tried to visit Canada. Some of your friends and family will not be attending. This is not because they didn’t want to or because they couldn’t afford it. Maybe they are professionals working for the same company as you. They are educated and decent people. There is one reason they can’t join you on your special day, or spend a holiday with you in your home country: their passports. Your friends could be from Nigeria, Mongolia, Syria or Sudan. They are treated with contempt when they submit their application for a tourist visa. The embassy of your country ignores the invitation you sent, their proof of funds and the letter from their employer.. They are charged anywhere between $100 and $1000 for a visa application. They are told that the visa will be ready in a few weeks. The consular staff at the Australian, British and Japanese embassies know that they will not be processing your Iraqi friend’s visa but they take the money anyway – who else will pay for their Porsche and subsidise their expensive expat lifestyle if there are no holders of “inferior” passports to exploit? The argument from the British High Commission in Abuja is that the visas for Nigerians can’t even be processed because approximately half of the applicants have false documents. Understandably, no visa is likely to be issued in such cases. But why are those who have their documents in order routinely rejected after answering the humiliating questions, painstakingly gathering paperwork and showing proof of funds? The visas are denied without a reason and the hefty fees are kept by the embassies. It’s fairly clear whether these rejections are based on immigration concerns or just discrimination. Benjamin is a Nigerian business consultant who works in Lagos. He has no criminal record and proof of sufficient funds. His business visa to go to Dubai was rejected many times and Benjamin learned from his fellow Nigerians who had received the visa that a bribe would be necessary, as with most transactions in developing countries. After paying a over $1000, he was granted his visa for the UAE. He was given a visa for Malaysia in his Nigerian passport last year but was refused entry into the country upon arrival. Apparently, as only a month was left on the 3-month, multiple re-entry visa and there was a risk that he may overstay, even though he had a changeable ticket and more that sufficient funds. In April 2012 Benjamin got the same visa and arrived at Kuala Lumpur International Airport within days of collecting his passport from the embassy – quite an enterprise if you have to organise international travel from Nigeria. On this trip with his new visa he was refused entry again and no explanation was offered by the immigration staff, who kept the bribes that they suggested he paid them. Most Nigerians and Syrians are not as priviliged as Ahmed and Benjamin and they certainly can’t afford inflated consular fees and exorbitant bribes, known as “presents”, “special fees” or “favours”. This makes them virtual prisoners as they are not able to travel to most countries, even if they have adequate funds. The passport is a pocket sized booklet that divides our world: we are haves or have-nots depending on where we, or our parents, were born. It separates me from my friends who are born elsewhere. It’s not that they want to move to France or Australia, but if they can prove that they pose no threat to a country and have family or friends as well as enough money then there should be no objection to their visa requests. I can’t imagine what would happen if British citizens weren’t allowed to visit Thailand or Jordan. 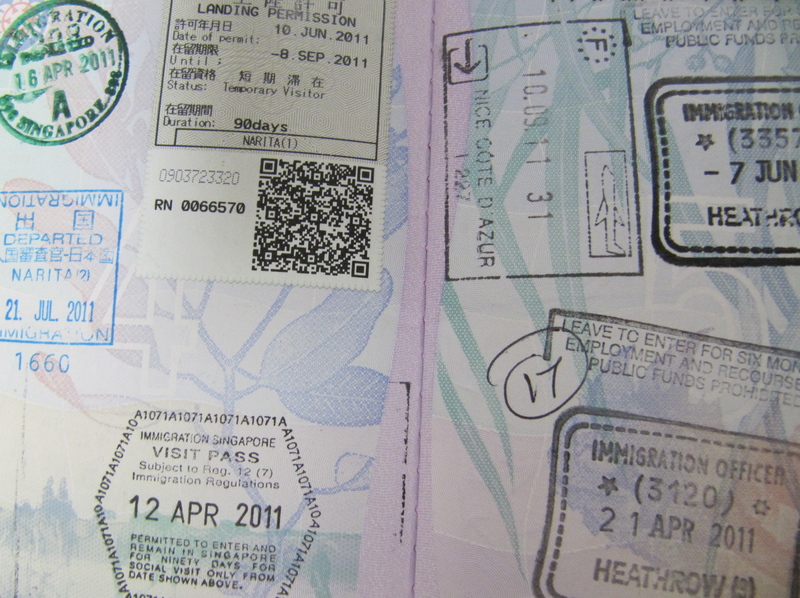 These are two countries they can visit freely and for fees of $30 or less, usually paid upon arrival. The fees and visa processing for Thai and Jordanian passport holders makes the visa process embarrassingly unequal for them.